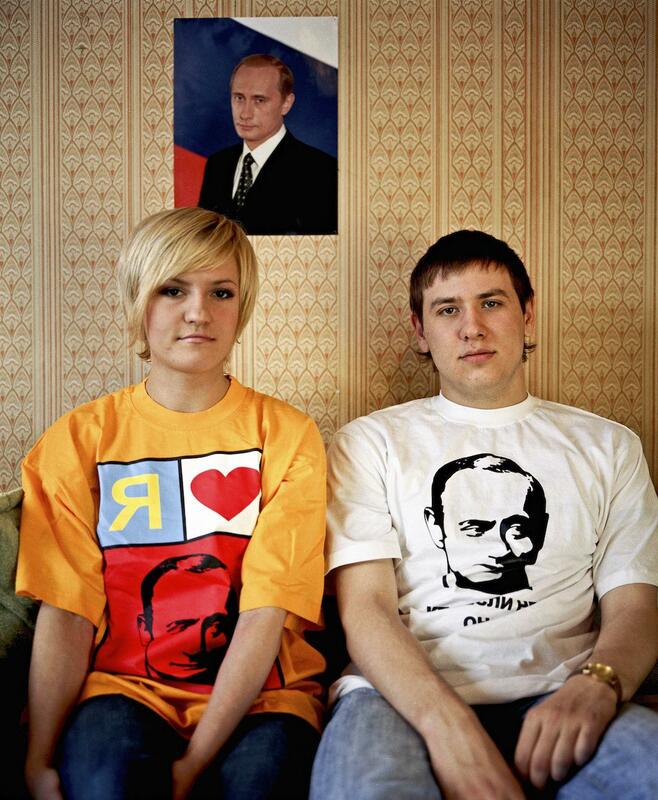 For the college-age men and women in Bela Doka’s series, “Fan Club Putin,” the Russian president is more than just a politician. Like a rock star or a famous athlete, he’s a beloved personality, an icon who adorns T-shirts and bedroom walls. Doka, who is Hungarian, was in Russia in 2007 when a photo editor at Bolshoy Gorod magazine suggested he work on a story about Nashi, the now defunct pro-Putin political youth movement. 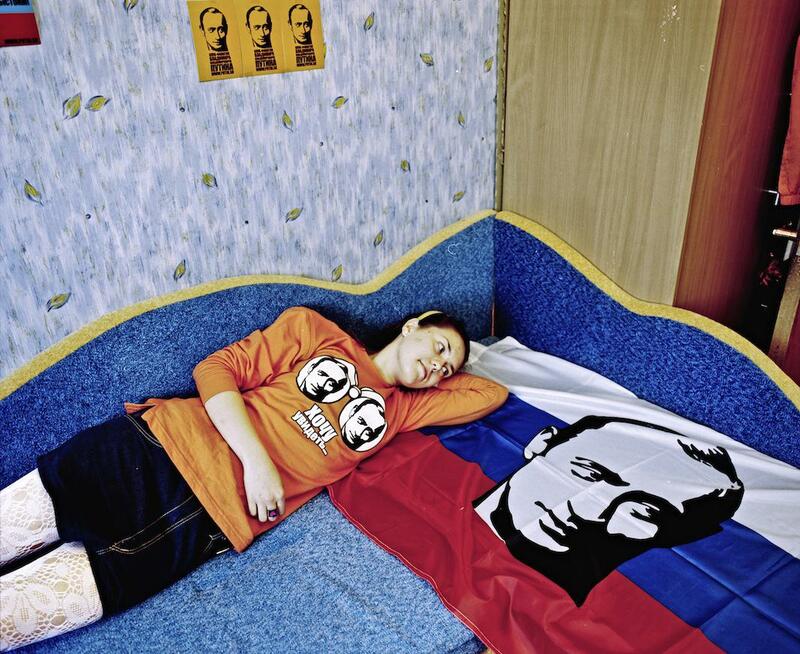 Doka agreed, but after two days of shooting, his assistant from the magazine told him about the Putin Fan Club. He quickly decided to change the focus of his story. While club members were active in politics—many participated in Putin-related marches and protests—Doka was more interested in expressions of identity than ideology. “They invited me to a march through the Red Square because they wanted Putin to come back for a third term. I went with them and followed them as if I were doing a reportage on them, but I didn’t use any of the pictures. It didn’t suit my imagination,” he said. Instead, Doka approached his project more like a fashion photographer than a documentarian. 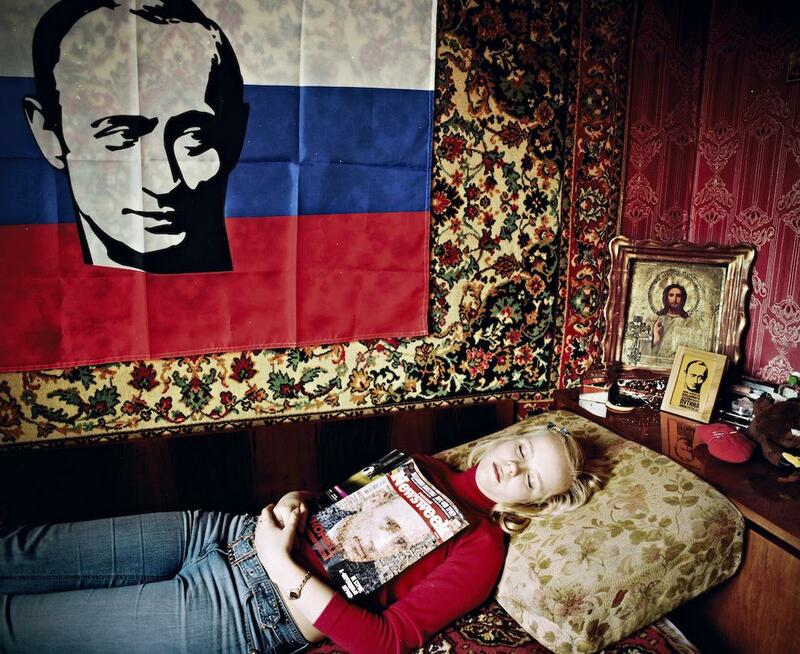 Using his subjects’ clothing and decorative items, he styled them and their surroundings to create an image that best captured their love of Putin. In interviews with Doka, club members discussed their admiration of Putin’s political accomplishments and positions, but many also spoke fervently about his personality. Several young woman described him as an ideal man, someone they’d want their future husband to resemble. Doka hasn’t followed up with his subjects in the years since he made these photographs. 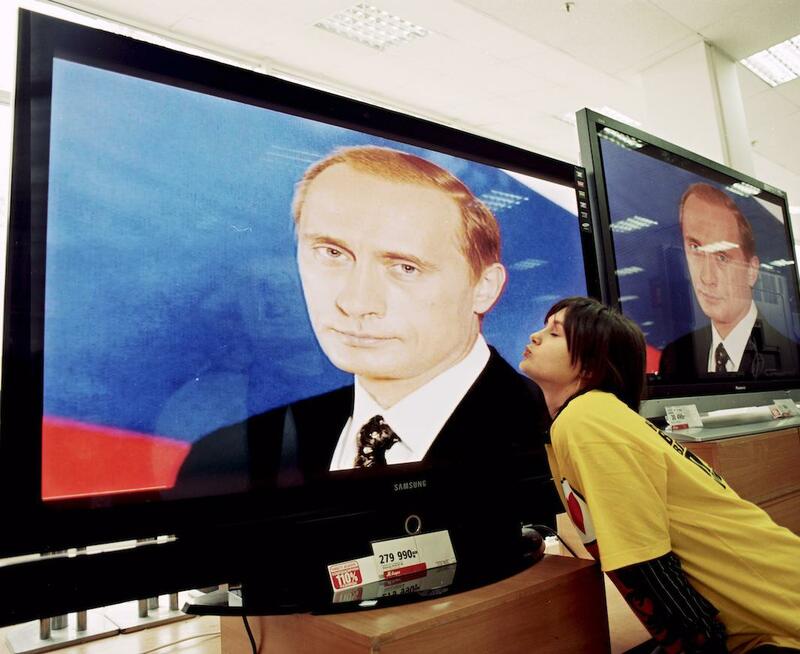 But it’s youthful sentiments like those that make him think that, for many of them, Putin mania may have just been a passing phase, just like the other ephemeral passions of teenagers around the world. 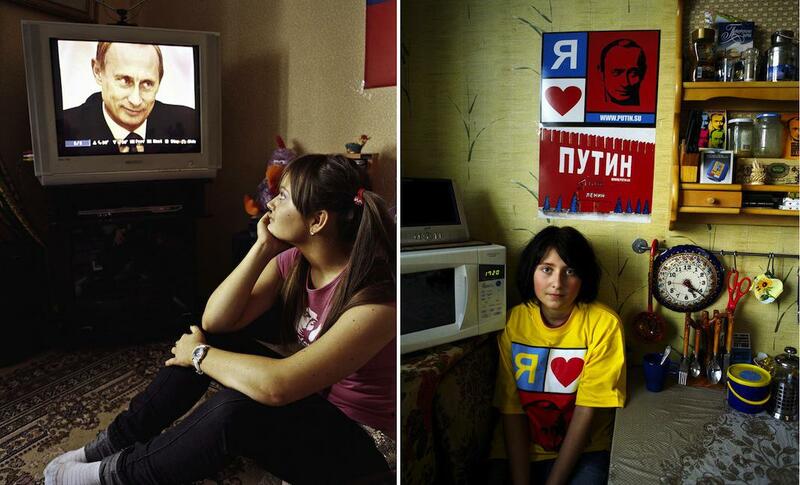 “I can imagine right now most of these kids are not even devoted to Putin. It’s like music—you like Bon Jovi for three years and then after maybe you start to like jazz,’ he said. 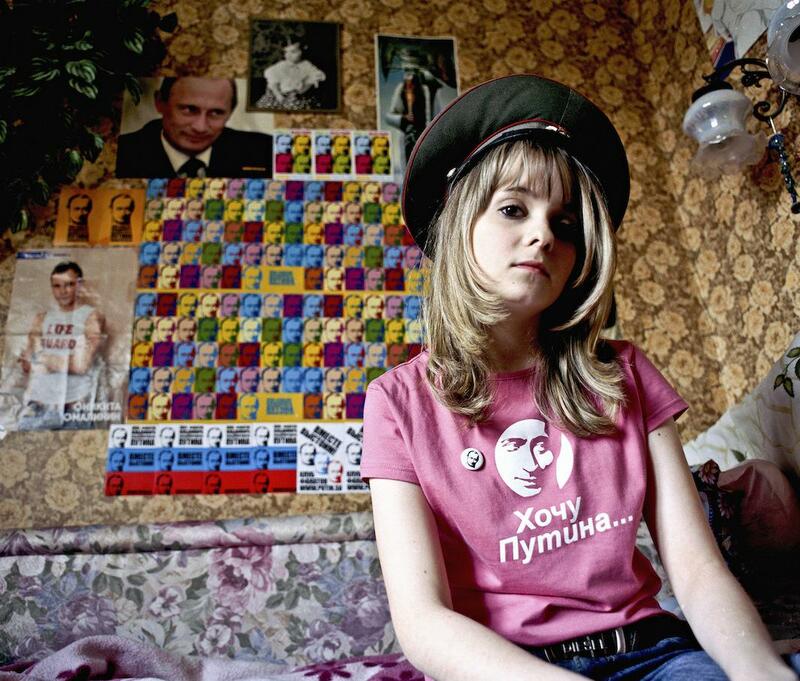 “Fan Club Putin” will be on display at Photo London from May 21–24. Doka’s most recent project is “Studio Panindigan,” a series of portraits taken in a remote fishing village in the Philippines. It will be on display at Art15 from May 21–23 in London.